This 5L Bulk Bio D Multi Purpose sanitiser Spray multi-purpose sanitiser for use on all hard surfaces. The 5L version gives great economy. Just squirt wait 15 seconds and wipe; it couldn't be easier. Bulk Version of the Bio D All Purpose Sanitiser Spray. Aqua, Non-ionic Detergent, Vegetable Glycerin, Trisodium Citrate, Sodium Gluconate, Sodium Chloride, Sweet Orange Oil. 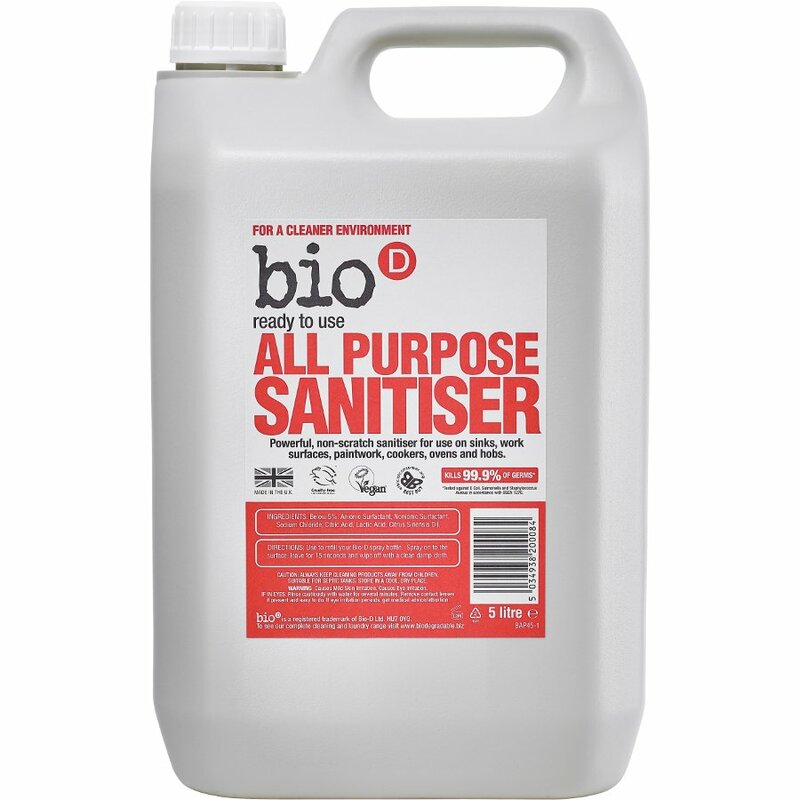 The Bio D All Purpose Sanitiser - 5L product ethics are indicated below. To learn more about these product ethics and to see related products, follow the links below. Great all round sanitiser, cleaner and light degreaser when diluted to around 50/50 with water which is what I do, really pleased to able to use a plant-based cleaner around our home which won't affect us or our dog !! 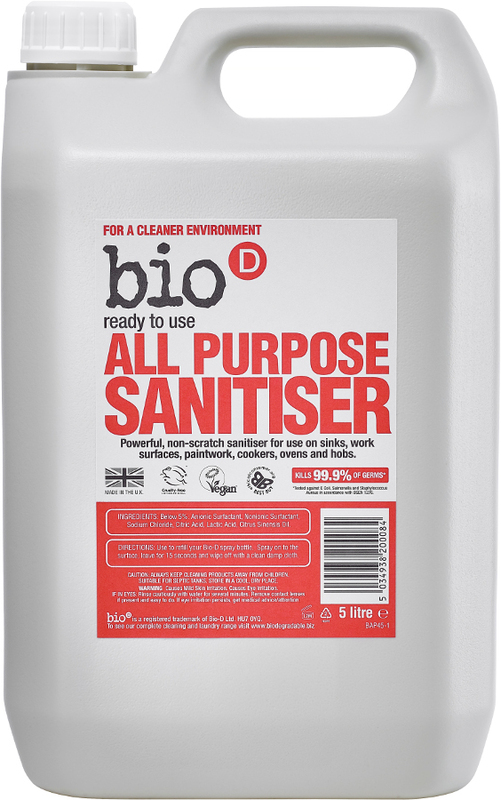 There are currently no questions to display about Bio D All Purpose Sanitiser - 5L.